music and it’s time to determine the next step. However, the posed question in the title misses the point. You cannot choose the correct instrument for your future maestro just like you can’t choose your child’s favorite fruit. Everyone has a unique sense of taste. No one can be told to like the tangy squirt of an orange segment or a chomp out of a crisp red apple just as no one can be required to like playing the piano over the oboe. It ultimately depends on a host of personal experiences and individual variables. Consider the list of parameters below (in no particular order) to help you gauge your child’s interest and match your future musician to the perfect instrument. Age: Although some say starting sooner is better, never force a youngster to begin playing an instrument. Instead, expose your child to musical activities such as singing in the car, playing patterns on pots and pans and attending concerts. Create an environment that nurtures fertile soil for future music making and wait patiently for the seed to take root and grow. If you play an instrument, make sure to pull it out and show off your skills to help spark curiosity. Size: For those who begin early, it may be best to stick with instruments that come in various sizes. Pint-sized violins make it easy for little guys to successfully create sound. Although long fingers and larger hands are ideal for playing the piano, budding musicians will still find it easier to lower a piano key with a smaller hand rather than stretching tiny fingers over guitar frets and bassoon finger holes. Wind instruments require adequate breathing skills and lips suited for blowing. Whatever the instrument, it is important to have your rookie musician hold and explore it first to discover if it “fits” and feels right. Personality: Does your child eagerly volunteer for the lead in school plays and pageants? Then your extrovert may enjoy joining a band and playing the flute as band directors usually reserve the front row for flautists. Other instruments that often receive the top melodic line and solo material include the blaring trumpet, and the sassy saxophone which are both good choices for those who prefer the lime light. Others who shy away from groups and prefer to practice and play alone may prefer the piano. Social: Pressure to fit in with the most popular crowd and styles may cause first-time musicians to hastily choose an instrument. Although the guitar or drum set may appeal, these instruments demand particular skill sets that may not suit your child. Allowing your future pop star to try an instrument first through a rental program is a good way to let them explore options without a huge financial commitment. Dexterity: The physical demands of creating sounds on an instrument vary. While some require a good set of lungs to provide air for blowing or singing, (don’t forget that the voice is an instrument as well) others require quick fingers and distinct, separate actions in each hand. 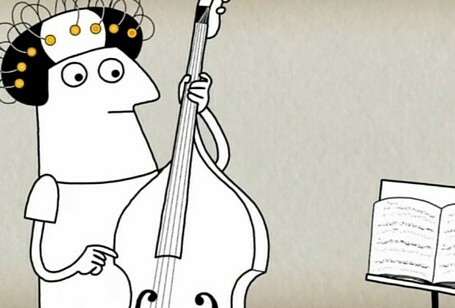 Usually children seem to connect to the instrument that seems “easy.” However, sometimes those who are less coordinated may benefit from music study on any instrument regardless of innate ability. Physical and mental limitations may keep some from progressing as fast as others but the experience could be the perfect therapy for those who struggle with coordination. Sound: As your child discovers the possibilities, it is important to help your maestro to distinguish between various instrument families—strings, woodwind, brass, percussion. If your child prefers the mellow viola over the booming tuba, so be it. It’s a matter of taste and preference. Style: Is your family partial to Country or Classical? Rock ’n Roll or Folk? The “in house” music your child absorbs will definitely determine preferences for the banjo over the flute, and the french horn over the fiddle. Passion: Desire trumps anything so despite all of the above variables, if your motivated musician dreams of playing the trombone, make it happen. Default: If you and your child are unsure, the piano is THE default instrument of choice. Most instrumentalists would agree that they wished they played piano at least for a little while as the keyboard helps to visualize and understand basic music theory like none other. Teacher: Another crucial thing to consider is your child’s first music teacher. This person is the gateway to the world of music so even more important than immediately finding the perfect instrument is discovering the right music teacher. Look for someone who will nurture your son or daughter and entice them into the world of music using fun, the latest technological tools combined, of course, with expertise. Technology: The latest technological tools will never replace a human teacher. However, today’s apps can immediately enhance the quality of music instruction. 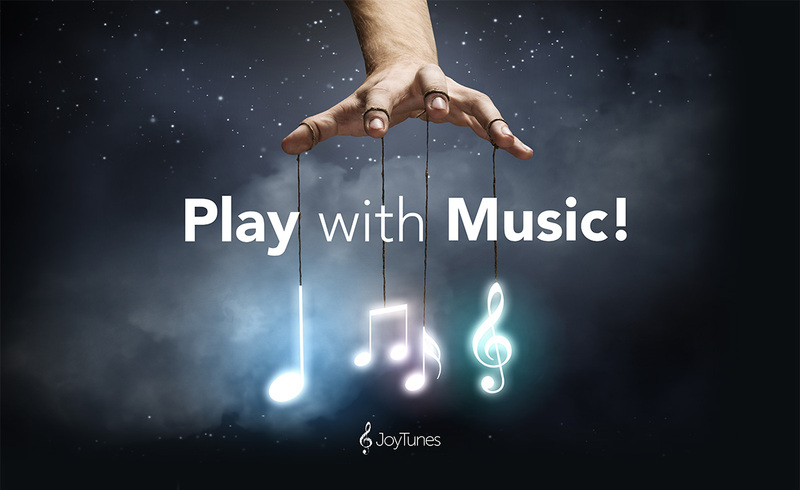 For example, JoyTunes developed Piano Maestro, an award-winning iPad app which drills music reading skills using shiny graphics, snazzy backing tracks and instant feedback for use during lessons and home practice. 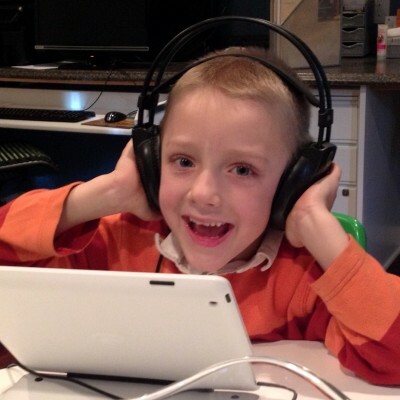 With the uncanny ability to hear an instrument with no extra wires required, the app provides a unique, interactive, game-like opportunity for your child to progress and have fun doing so at the same. Using apps such as Piano Maestro in tandem with excellent lesson instruction and consistent practice at home is a win-win combination for your young instrumentalist. A positive experience with a music teacher—best found by recommendations of others— who is sensitive to the needs and musical tastes of your child will encourage your maestro to never look back and push forward through each lesson and every new instrument until the perfect match is found.